Home // My World of Work Live! My World of Work Live! offers a variety workshops to inspire young people to consider careers in key sectors of importance to the Scottish economy, now and in the future. 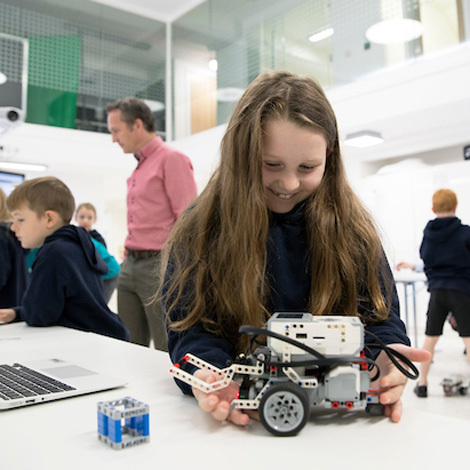 You can take your pupils along to the Glasgow Science Centre, Inverness Digital Studio and Careers Lab, Mareel Arts Centre and the National Museum of Scotland to take part. Exhibits are designed to be self-serve and inspiring activities are delivered by staff – some are available for you to book for your class in advance. Developed with industry, inspiring activities provide fun job-related challenges to inspire interest in careers. 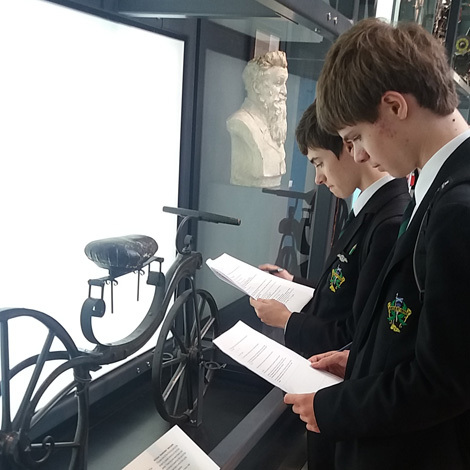 For each inspiring activity, there are activity sheets and learning resources to help you and your pupils get the most out of a visit. Links to the resources are provided below. Inspiring activities are offered on a drop in basis to those visiting as well as advanced booking options for schools. Activities are free to attend, but there is a cost to visit the rest of the Science Mall exhibition. 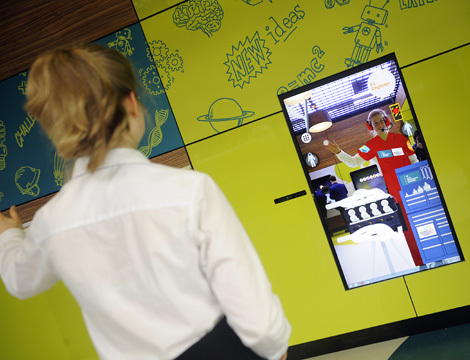 In partnership with Glasgow City Council, some secondary schools in Glasgow can book a visit to My World of Work Live! for S1 and S2 pupils which includes free access to the Science Mall. Find out more about the education programme on the Glasgow Science Centre website and call 0141 420 5003 to make a booking. DIY Gamer – Program a handheld games console to display your own animation in this fun and easy introduction to programming. Where next – computer games developer? 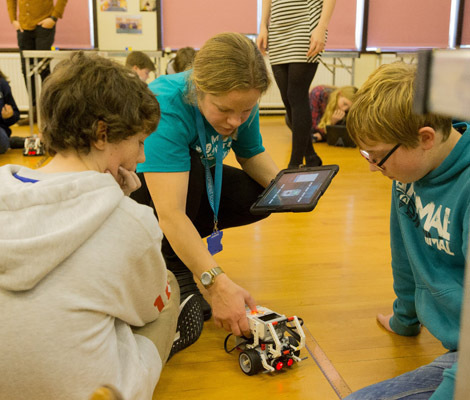 We’re piloting an outreach programme in the West and North East of Scotland with Inspiring activities being offered in your school, youth club or community venue, delivered by one of our advisers. To make a booking, or to find out more, contact Helen Ward (in the West) or Stefan Mullen (in the North East). Inspiring activities typically last for 90 minutes with a morning and afternoon slot available within the studio. Advanced booking is required. Twilight CPD sessions for teachers of all subjects run twice a week and count towards teachers’ CPD. My World of Work Live! staff introduce the inspiring activities and provide resources that can be used in class. To find out more about any of the activities on offer contact studioinv@sds.co.uk. Space Junk – Learn about space engineering by simulating the orbital motion of a satellite, avoid space debris and bring the satellite safely back home! · DIY Gamer – Program a handheld games console to display your own animation in this fun and easy introduction to programming. Where next – computer games developer? Inspiring activities are offered within your school or can be delivered at a community venue. The activities complement the exhibits at the centre itself. They last around two hours and are delivered by our STEM engagement adviser. To make a booking, or to find out more, contact Emma Chittick, the STEM engagement adviser for Shetland. Pupils can take part in our self-led career challenge trails. Aimed at upper primary and lower secondary pupils, these trails will take your class on an exciting journey round the museum. They'll learn about the skills and subjects required for jobs and find out about the different entry routes available. Find out more about My World of Work Live! on the National Museums Scotland website. In the West or North East? Find out more about our new outreach programme and what Inspiring activities we can offer you by contacting Helen Ward (in the West) or Stefan Mullen (in the North East).